DINNER AT RU YI CHINESE FINE DINING - The feel like you will spend a night like a royalty on the Far East, the Kingdom of China. 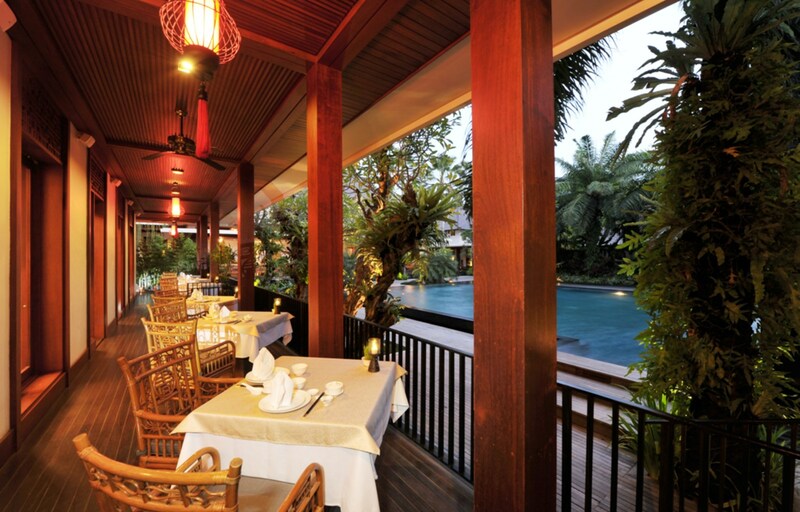 There is a restaurant named Ru Yi among hidden gorgeous luxury villas of Awarta Nusa Dua, Bali. 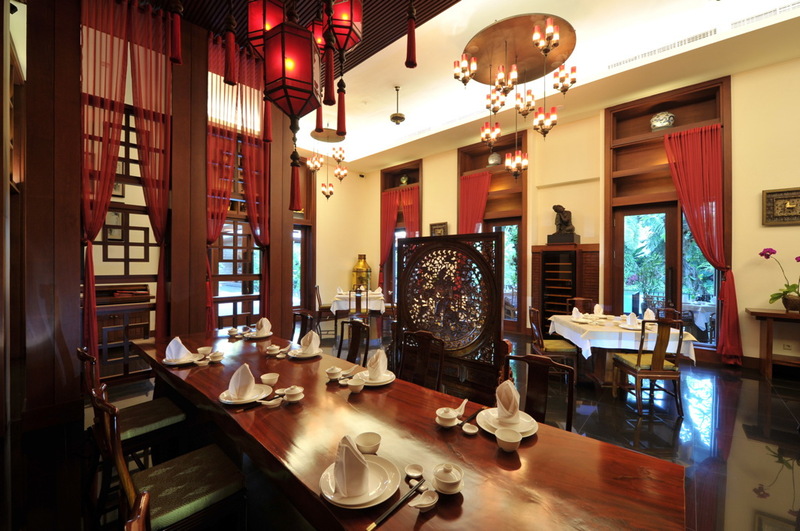 Indeed that the concept of the villa itself is oriental Chinese mixed with traditional Balinese Indonesia elements here and there, so here it is the story about a very nice Chinese fine dining experience at Ru Yi Restaurant. Something you might be aware of that when you in Bali, you will easy to find Western, Italian, France, Mediterranean, or even now decent Japanese restaurant, I know it happened depends on the market. Now I am pretty happy that there is another thing can be tried in Bali, with total concept and ambience that I got when the first time entered the room, I love what I see here at Ru Yi Restaurant. Then we decided to try set menu, my friend once told me to judge a Chinese Restaurant you need to order their seafood; fish, prawn, abalone, crab etc but it could be a very tricky, but if you have nothing to worry about the price, you are good to go. Of course there were some seafood dishes in the set menu, moreover it’s curated and recommended so, let’s try! There was a Chinese tea before everything. The set menu consist; Deep fried egg plant with chicken floss, Chicken soup with mushroom, Yang Chow fried rice, Slice fried snapper with sweet & sour sauce, Fried prawn cooked in salted egg, Homemade bean curd with mushroom, Herbal jelly or Glutinous with ginger broth. To read this menu alone made me say enough, it was a very best basic Chinese you have to try at least, or in other words, you have to come back here to try some à la carte and you need to get yourself more vegetables on the table. Every single dish in main menu are the safest selection of Chinese food, surprisingly I love the egg plant for appetizer, because for me personally that the best way to cook egg plant, thin stick and crisp. Also the highlight was the soft homemade bean curd or tofu that if I am not mistaken was covered by seaweed that made them salty and deli. It will look interesting if the mushroom were Simeji mushroom than Button mushroom (you wish lol). The snapper and prawn absolutely nice, perfectly cooked caramelized sweet and sour sauce also with salty egg that covered the prawn are so perfect almost no oil, so the plating were very clean. When it comes to enjoy the dessert, I had no idea how on Earth I ate this Glutinous rice ball with ginger broth inside and I had burned my own tongue because I devoured the freshly hot ball into my mouth lol but thank no pic of it. The right thing to do with it is you need to do a small bite on the tip of the ball and sip the ginger liquid first, but it is up to you, that’s all your food, whatever your style, cleaned up all those plates and bowls.